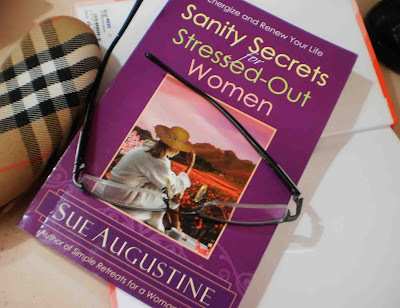 I call it a blessing having stumbled on this Sue Augustine’s book. Although I know some way out of this notoriously stressful world, reading this book made me realize there’s more to life, you just have to find a way how to do it. This book is a great help to finding that way out. I highly recommend every woman should get a copy. I scored this at National Bookstore. "I can only please one person a day. Tomorrow isn’t looking good either." Still chuckling! Love that quote! Inspiring! It makes me smile.. Happy COPS! Mine is up.